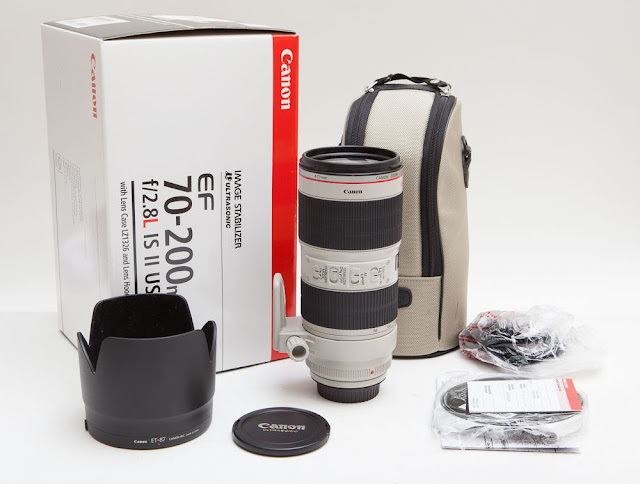 Last week, I reported the Canon EF 70-200mm f/4L IS II is coming in Q3. Now the latest information appears to indicate the EF 70-200mm f/4 Series II lens will be announced next month and the EF 70-200mm f/2.8L IS III may be announced just before Photokina 2018 in Germany. This is a stable glass for many photographers, from wedding to wildlife. The second half of 2018 will be a busy year for Canon's announcements. In addition to EOS-M50 announced in February , the company is expected to release a new EF-M 32mm f/1.4 STM prime lens for the EOS-M mirrorless camera. Slightly shorter than a 50mm full frame equivalent. Keep checking back for the latest information.